Recent REMEDI blogs have explained the differences between four B2B integration options. These B2B integration choices are not one-size-fits-all. Rather, what you select will be based upon your unique needs. This blog post examines one type of B2B integration solution: the on-premises implementation. It considers seven scenarios in which such a solution makes the most sense. Read on to learn whether on-premises B2B integration is the right fit for you. Before we discuss why a firm would want to choose an on-premises B2B integration solution, we will review the integration methods available. There are four options: on-premises, hosted, cloud, and hybrid. In an on-premises solution, B2B integration software is installed at an organization’s server on-site. Hosted B2B integration solutions are installed on off-premises servers, while cloud integration software is delivered over the Internet. Hybrid B2B solutions combine two or more solutions. While we are on the subject of hosted and cloud software, let’s take a moment to clear up some misconceptions. Many people confuse hosted and cloud models; they call them Software-as-a-Service (SaaS) interchangeably. That is a mistake. SaaS is a licensing model. You rent the software you are using. Typically, the software provider administers the software, not the company renting it (which is the source of the confusion). However, you could deploy software you own (known as perpetually licensed software) on a private cloud, or you could conceivably negotiate a SaaS payment model for on-premises software. Cloud and hosted software implementation instances have attracted a great deal of positive attention. They are a more modern form of deploying software. Why would anyone want to choose on-premises deployments, which seem like they are mired in the past? There are some very compelling reasons to select an on-premises deployment for your B2B integration software. One reason is that on-premises deployments offer you a competitive advantage. Here is why. Cloud and hosted solutions are designed to be deployed and not heavily customized. For customer-facing software, that is a problem; your clients will be logging into the same software your competitors offer, making it challenging for them to tell you apart. Suppose that your customer has a complicated workflow. Cloud and hosted B2B integration solutions are difficult to customize. They might not meet your customer’s needs, so it will be more challenging to retain that client. Expanding on the previous point, on-premises B2B integration deployments can offer a better customer experience. This claim is based upon the integration and customization capabilities of on-premises software. Because you can customize your customer-facing platform, it will clearly represent your brand. This stands in sharp contrast to hosted and cloud B2B integration software, with similar-looking interfaces. When your customers log into your platform, there will be absolutely no confusion on whose software they are using. An on-premises B2B integration also allows you complete control over the customer experience. Choosing a hosted or cloud software provider means you yield your autonomy over your software; you depend upon a third-party to ensure that your B2B integration platform is always available to your customers. If your vendor has a problem (or worse, an outage), you are helpless to do anything. On-premises B2B integration deployment uses your network and gives you greater control. You are not dependent upon someone else’s network for the B2B integration solution to work. Conversely, a third-party’s network might have reliability issues. Let’s go back for a moment to the point we made about cloud and hosted B2B integration software not being so customizable. The same holds true about their ability to integrate with your existing data sources. Even though integrating with data sources is a must-have for many organizations, cloud and hosted B2B integration software fall short on this front. They can integrate with a few data sources out of the box, but because you cannot customize them without a great deal of time, effort, and money, it is difficult to add other data sources. That is problematic, especially if those other data sources are mission-critical. On-premises B2B integration software can be easier, faster, and cheaper to customize. For organizations that must integrate a wider number of data sources, an on-premises B2B integration deployment makes more sense. The Fourth Scenario: What Compliance Regulations Do You and Your Customers Face? Compliance to government and industry regulations also affects the suitability of a B2B integration option. For some companies, complying with government and industry regulations means that on-premises B2B integration solutions are the best option. Some industries must store their data in certain countries. In those cases, a cloud or hosted B2B integration software deployment might be out of the question. When the B2B integration deployment is on-premises, those issues are not a concern. Deploying a B2B integration solution on-premises places a higher security burden upon a company. It means that its employees bear responsibility for keeping data safe. While that higher security burden requires greater staffing resources, it also gives you greater control over your data. Sometimes, your organization does not face stringent compliance regulations. However, your customers might. They might not do business with a firm that uses a cloud or hosted B2B integration solution because they are in an industry that is highly regulated. When considering what kind of B2B integration solution to deploy, you cannot just focus on your own needs; think about your business requirements in the broadest possible sense. Besides alleviating compliance concerns, an on-premises deployment gives you greater control over your data. For some organizations, controlling their data is an end unto itself. Why is data control important? You might need it for legal reasons. It also comes in handy if you want to run analytics on it. Cloud and hosted software vendors do not always keep data forever. If you choose a cloud or hosted vendor, you might have to download some of your information or risk its deletion. An on-premises B2B integration calls for a team of dedicated employees who will maintain the software and server. For some firms, that commitment is simply not feasible. Yet, they must also consider the consequences of outsourcing. When you outsource, you give up control over who will be maintaining your software. A cloud or hosted software provider will have its own employees, but they will split their time between you and other clients. You might not have access to them when you need them the most. Even if you use a team of contracted employees to maintain your on-premises B2B integration solution, you still manage them. You can fire them. You don’t have that flexibility with a third-party software provider. Cloud and hosted software are attractive options because you merely rent them. Vendors in those software categories boast that their offerings save companies money. That would be the case. An on-premises B2B integration requires a large upfront investment. You are purchasing software and a server, and you will need the requisite staff to maintain it as we mentioned above. Remember that upgrade costs will also be high; you carry out upgrades, which are time-consuming and redirect your staff efforts. However, you must dig deeper to examine whether a cloud or hosted solution is the cheapest option for you. Over a five-year period, your infrastructure may have paid for itself. There is no incremental cost to add more users, unlike with a hosted or cloud solution. You must do the math carefully to make sure which option works out to be cheaper. Cloud and hosted solutions have gained popularity in recent years because of their ostensible cost savings and their advanced technology. 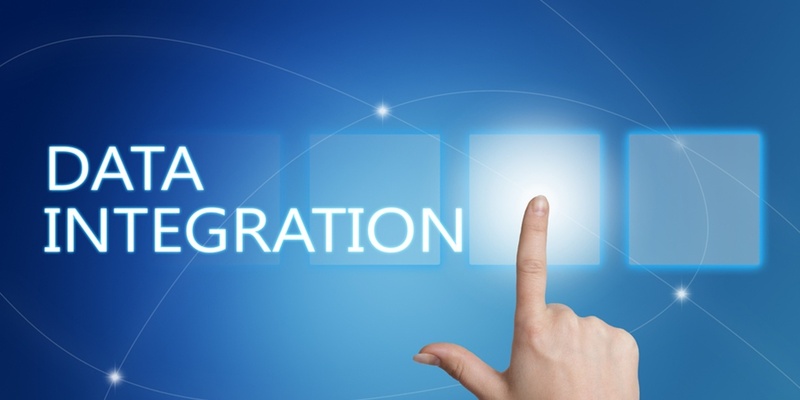 Those are important points to consider when choosing a B2B integration solution. Your organization and its customers have a unique set of needs that might not be met by cloud and hosted B2B integration solutions. An on-premises solution might be the best fit. To learn more about which solution best fits your needs, contact us today. Is Your Digital Transformation Strategy Effective?